First, have a wonderful, relaxing and delicious Thanksgiving! Second, over the long weekend be sure to to check out a great new podcast, Purpose 360. It's hosted by two social purpose supahstahs! : Carol "The Mother of Social Purpose" Cone and Matchfire CEO Chris Noble! In the debut episode, Carol and Chris talk about one of the most disruptive social purpose campaigns: REI’s #OptOutside, which has inspired more than 15 million people to go outside on Black Friday. Guest Alex Thompson, VP of Brand Stewardship & Impact at REI, shares the ideas and impact behind #OptOutside and the brand’s ongoing purpose-driven initiatives. This podcast is sure to be GOOD! 1. 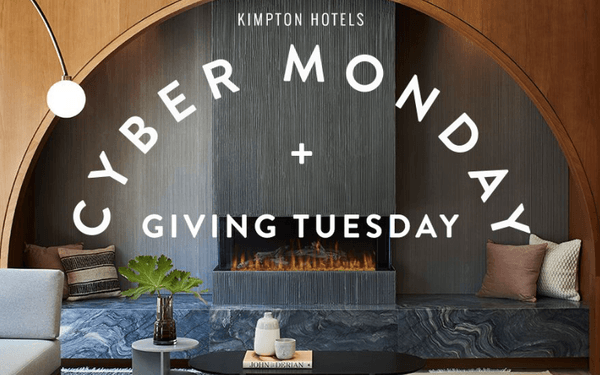 Kimpton Hotels is launching a promotion that checks both the “Cyber Monday” and “Giving Tuesday” boxes. Online shoppers can save 25% off its best flexible rate and $5 will go to charity. The $5 per night donation will go to The Trevor Project and No Kid Hungry. 3. Subaru kicks off its 11th annual Share the Love event with four charity partners: The ASPCA, Make-A-Wish America, Meals on Wheels America and National Park Foundation. From Nov. 15 to Jan. 2, Subaru will donate $250 to the customer’s choice of one of the national charities for every new Subaru vehicle purchased or leased at more than 628 participating dealerships nationwide. 5. TOMS founder Blake Mycoskie announces $5 million donation to end gun violence. Is Blake right that this is the largest single corporate gift to end gun violence in U.S. history? 1. 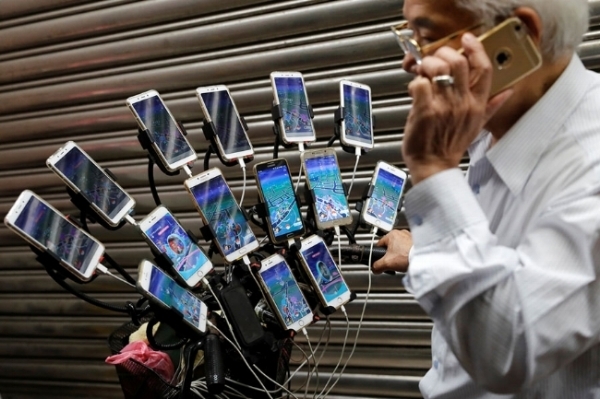 34 images to help you make the case to your boss or board that smartphones are ubiquitous and your nonprofit needs a mobile-first mindset. 2. Nearly 55-years after that terrible day in Dallas, President John F. Kennedy finally has a verified Twitter handle to introduce the late president’s iconic ideas and messages to a new generation. The posts are featured as the creative foundation for a digital, print and out-of-home ad campaign that will run through winter 2019. 3. Must read article for cause marketers from McKinsey & Company: Generation Z and its implications for companies. Remember, Gen Z are folks born between 1995 and 2010. After reading this article, read: are you ready for the nanoinfluencers? 4. Are you interested in growing your audience on Youtube? Two great reads from two absolute pros. First, one from Brian Dean: 17 ways to get more YouTube subscribers. Second, from Rand Fishkin: YouTube SEO - top factors to invest in. 1. Millennials are disrupting Thanksgiving with their tiny turkeys. 3. Be thankful this week that you are not involved in this mess.